The family of a producer's wife who was found slain in Mexico will soon retrieve her body and get an update on the investigation, the woman's sisters said Monday. Carla and Jeane (GEE-ah-nee) Burgos said in an interview that their mother will accompany them and give a deposition in the murder investigation that has focused on their brother-in-law, Bruce Beresford-Redman. Click here to read more about the Beresford-Redman case in CBSNews.com's Crimesider blog. Beresford-Redman, a former "Survivor" producer and creator of "Pimp My Ride," remained in Mexico while authorities await forensics testing on his wife's body. He has not been charged. The 38-year-old producer was detained as a suspect Thursday after police found his wife's body in a sewer at Cancun's swanky Moon Palace resort, where the family was on vacation. 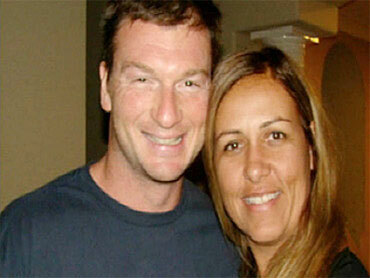 Monica Beresford-Redman was found dead in a sewer at the Moon Palace resort in Cancun earlier this month. Investigators say witnesses saw the couple arguing the night before the producer reported her missing. Quintana Roo Attorney General Francisco Alor said the woman's body had scratches on the neck, signs of asphyxiation and a blow to the right temple. The sisters and their attorney have reached out to prosecutors in Los Angeles and other federal agencies to assist in the case. Jeane Burgos said she will beg Mexican investigators to accept help from U.S. authorities. She said the agencies could help execute search warrants in the U.S. that might shed more light on the case. She and her attorney, Alison Triessl, declined to elaborate, citing the ongoing investigation in Mexico. Jeane Burgos said it's been difficult getting information about the case because she and her sister now live in this country. Neither she nor Carla Burgos were critical of the investigation so far and said they are simply seeking justice for their younger sister. "Right now the only thing I can fight for is justice, is dignity," Jeane Burgos said. "Bring her back, have her memorial, have a place where her kids can say goodbye to her and talk to her and for us to have peace in our hearts."